It’s the year 1671, and the hordes of English settlers arriving every day in the New World must strike an uneasy balance between their need for land and resources and their need to live harmoniously with the proud Native Americans who now fear the loss of their heritage and customs to these often demanding newcomers. This is the stirring story of how one young Native American, thrust reluctantly into the role of leadership, must come to terms with his tribal duties and his troubled past to find a clear — and peaceful — way forward. Young Linto and his devoted lover Wawetseka are trying to ease the mind of their friend Metacomet (or Philip, as the English call him). Metacomet is Sachem of the Wampanoag people and he is still incensed by the unfortunate demise of his predecessor Wamsutta while visiting a disreputable descendant of the earliest English settlers. Poison is suspected, but no proof is forthcoming. Still, Metacomet seethes and makes dark plans. Meanwhile, the widowed young Rev. Israel Brewster, minder of a faithful flock in Middleborough, spends his days either adroitly dodging matchmaking mothers or counseling distraught newlyweds on their inability to produce offspring. He feels a bit restless for bigger deeds to do and more recognition than his humble posting can afford. So, when he is summoned for consultation with the famed clergyman Increase Mather in faraway Boston, he bolts at the chance to prove himself worthy of a grander stage. 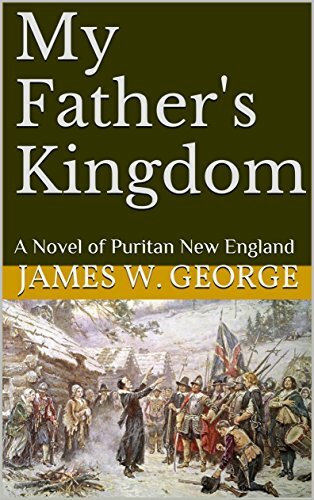 This is high historical drama handled wonderfully by first-time author James W. George. His imaginative interplay between actual historical figures and fictional characters is so seamless you’ll soon care little for the literal accuracy of the passages and focus much more on the engaging storyline. Events take an unexpected turn when Brewster returns from Boston and meets with Linto and Wawetseka. To say the results are momentous would be an understatement. Tormented visions, Puritanical plots, and lost love all figure into the spirited narrative that brings the book’s players alive — fully-fleshed human beings instead of mere footnotes in a dry, dusty history tome. This is a tale that will fully engage you on every level, as well as educate you on many of the details that undoubtedly made life in colonial times trying. But the story is solid and the characters deeply drawn, remaining true to their sometimes tormented motivations as events unfold.